Fortiflex 375 Tablets are a nutritional supplement to help maintain healthy joint function in dogs. 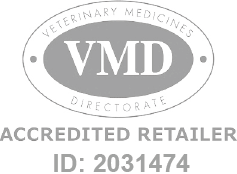 Fortiflex Joint Supplement 375 is a Prescription Only Veterinary Medicine and by law requires a prescription from your vet. Fortiflex 375 tablets help to maintain articular structures and locomotor functions in medium dogs. Contains chondroitin, chitosan and green tea extract. 1 tablet per day for dogs 15-25kg.